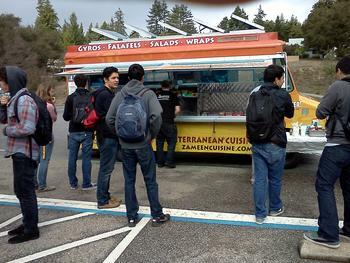 it's a dream come true in front of the darc :: zameen catering truck! The food is great and the price is right. DANM has been using Zameen Mediterranean Cuisine catering services for years, they are wonderful folks and we can't be happier that they've moved into our parking lot!! !